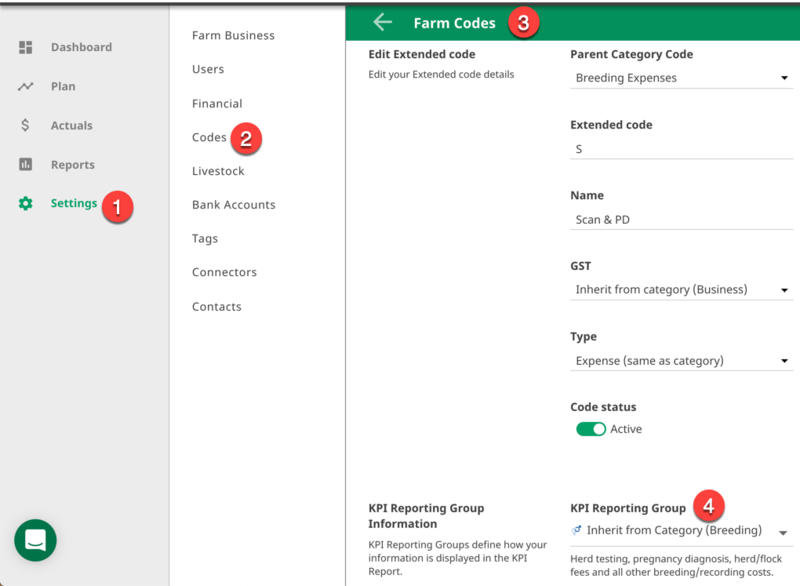 Unlike other reports in Cash Manager Focus, that mirror the code list structure, information in the EFS report is grouped by KPI reporting groups like Animal Health, Nitrogen and Land Management. 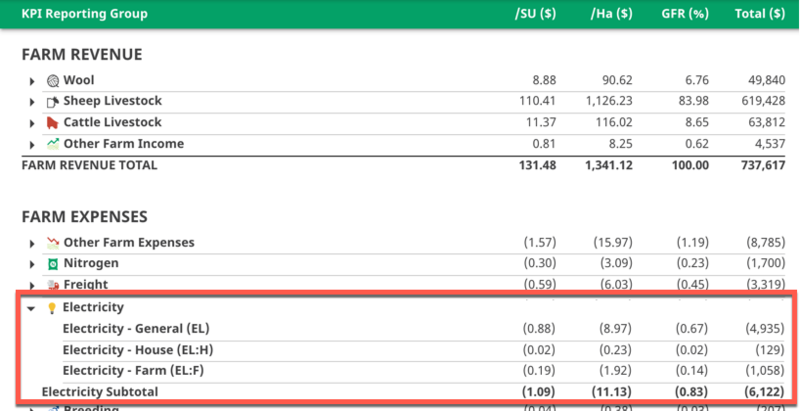 KPI groups are attached to each category and extended code, and in most cases extended codes inherit the KPI group that is linked to the category it sits under. However, some extended codes can be linked to a different KPI group. For example, the category Electricity is linked to KPI group Electricity and the extended codes House (used for the gst claimable portion) and Farm are also linked to the same KPI group. The extended code House Personal is linked to KPI group Personal Drawings, so that personal expenses aren't pulled into farm working expenses in the report. KPI groups are locked in Cash Manager Focus and can't be added to, removed or changed and while we've already mapped the KPI groups to your code list, you change this mapping if you want to. Click on Codes - Farm codes. Select the code you want to edit. Click on the KPI reporting group drop-down box to change the KPI. TIP: Each KPI group includes a description of the type of transactions that are best suited to that group.